Sunglasses add to facial grace and warrants protection of eyes from dust and the opulence of eyes in extreme sunny day and since it has to do with our precious eyes one should not call for risk with road side noxious sunglasses which even though are cheap in price and try to fake as well as top brands but could not ensure good will to the eyes. 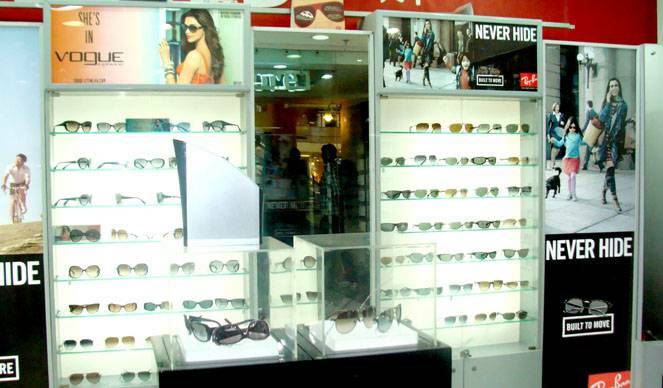 The Celebration mall Udaipur has brought for Udaipurites the one and only “The Sunglass Store”. Sunglass store has a stockpile of various brands of sunglasses in top class design and quality with eye catching shades to soothe the taste of all. We also have a wide collection of Polaroid glasses that ensures protection of your beautiful eyes from harmful UV rays. Now sunny days would no more be hectic , you could rather welcome them as these classes are going to add gorgeousness to your identity. All the top brands of sunglasses are available at our store and variety of sunglasses including butterfly style, cat eye, goggle, oval, pilot, rectangle, rimless, round, semi-rimless shield square, wayfarer wrap and others are available. The glasses are as light as rose petals and as strong that it will not break easily. We also offer discounts and deals on top brands to ensure that our customers don't remain deprived of getting the international brands just because of monetary issue. You can check out our daily deals and discounts for almost all top brands .We also provide warranty at top brands hence there is no point in worrying about your money. We are going to pay you the worthiest. So all hot and happening udaipurites its high time to get extremely fashionable and unique shades in all brands of sunglasses , don't miss out the chance and be the first one to grab what you deserve the most. The store is available at shop no. 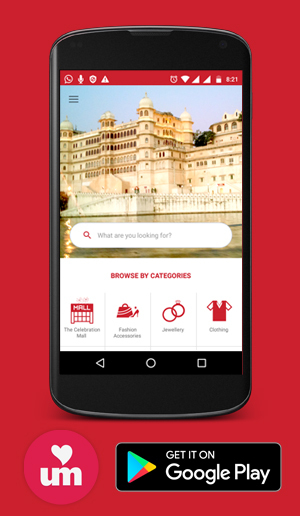 20, ground floor, The Celebration Mall, Udaipur.